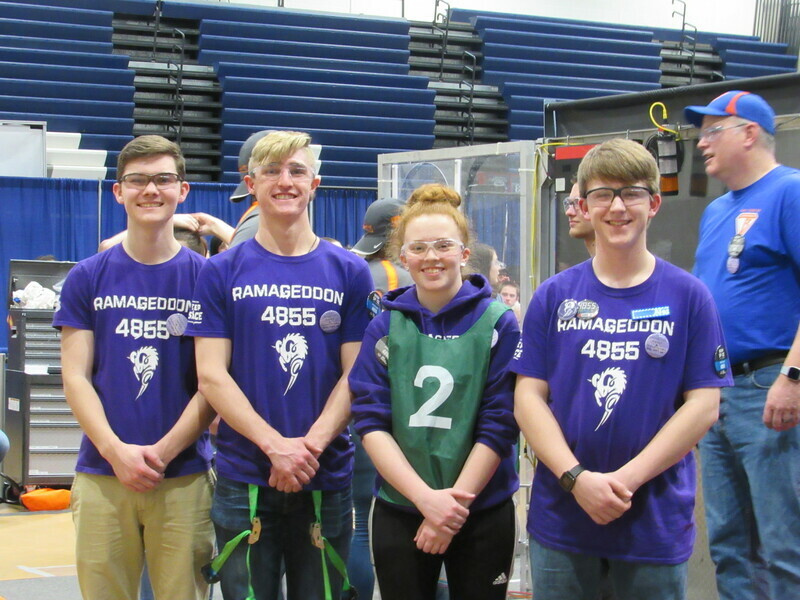 Gull Lake Competition: Team 4855 Ramageddon had a great showing at the Gull Lake competition, ranking third overall and then moving into the second seed alliance captain position. 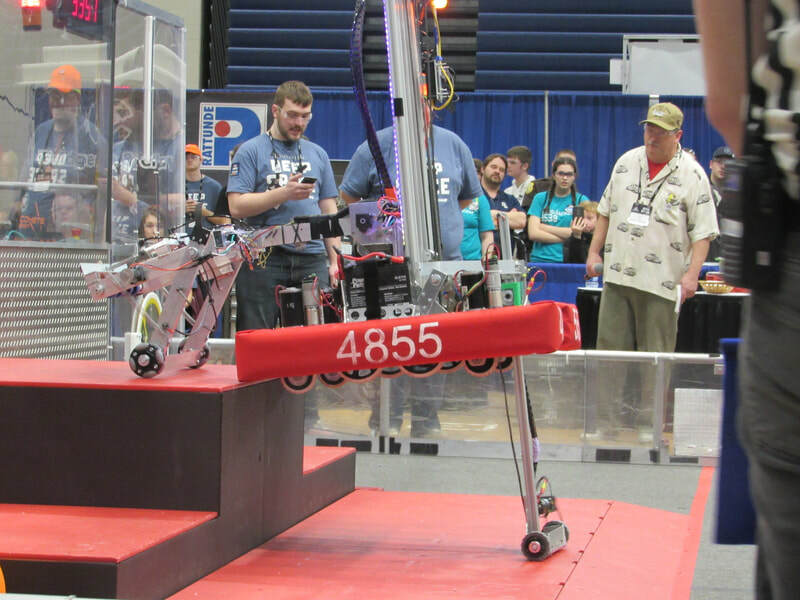 The team and their alliance partners fought their way all the way to the finals, losing in a close tiebreaker. 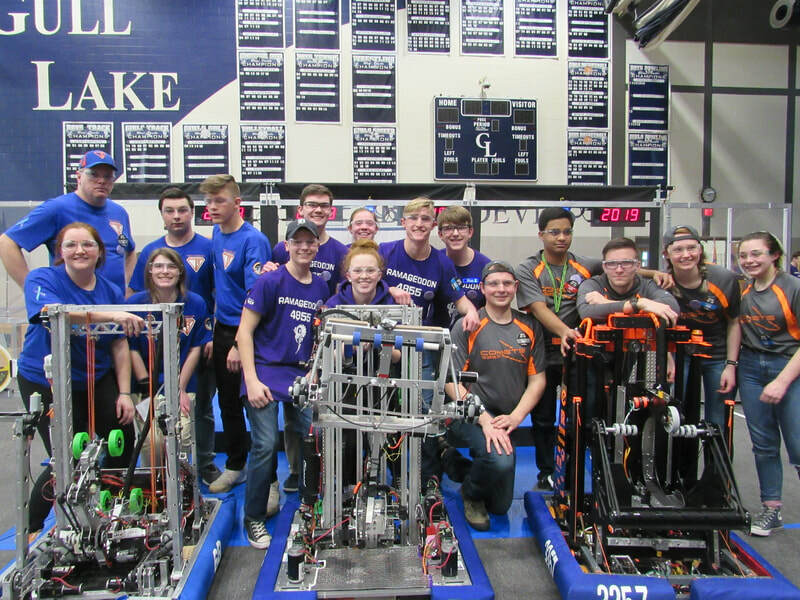 In addition to being district finalists, the team won the prestigious Autonomous Award and were an honorable mention for the Safety Award. 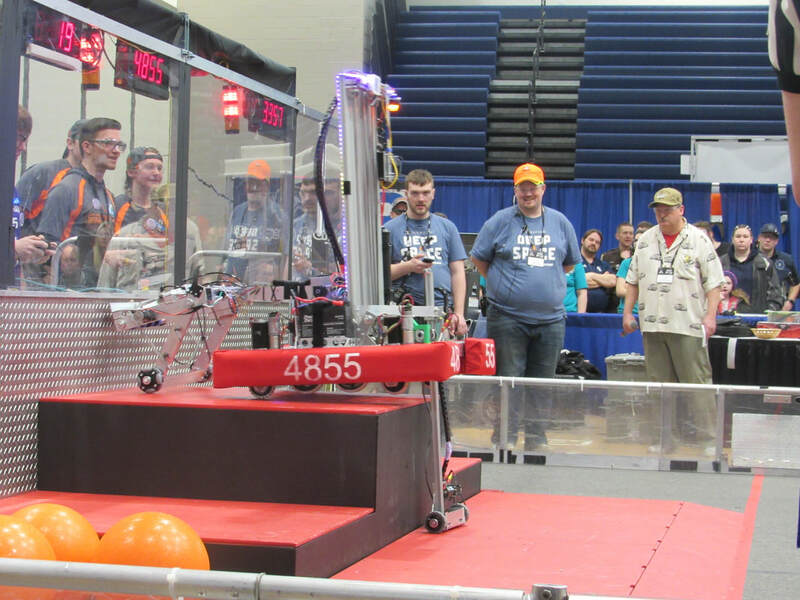 East Kentwood Competition: ​The East Kentwood event was one of the toughest district competitions in the State of Michigan in 2019, but the members of Ramageddon had a strong showing, finishing eighth overall and then moving into the fifth seed alliance captain position during the alliance selection process. 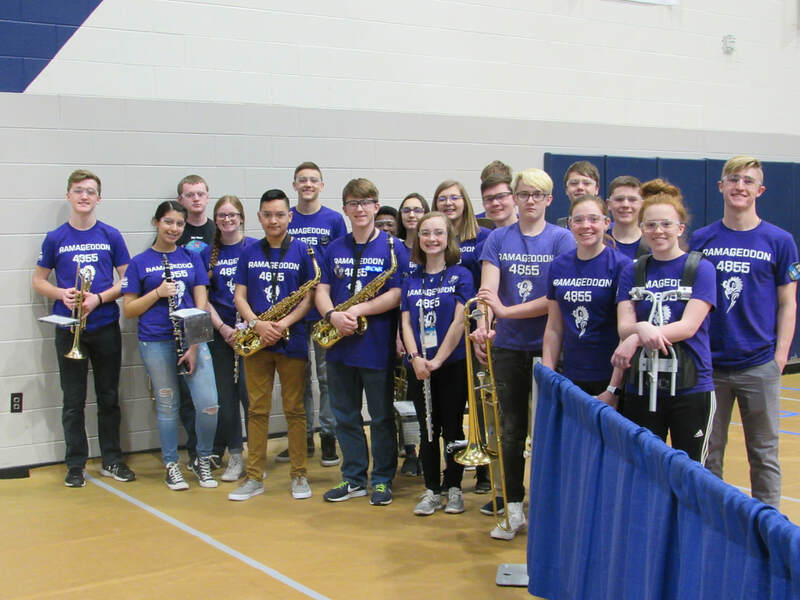 The team was eliminated in the quarterfinals but left the event with enough district points to most likely qualify the team for the State Championship. 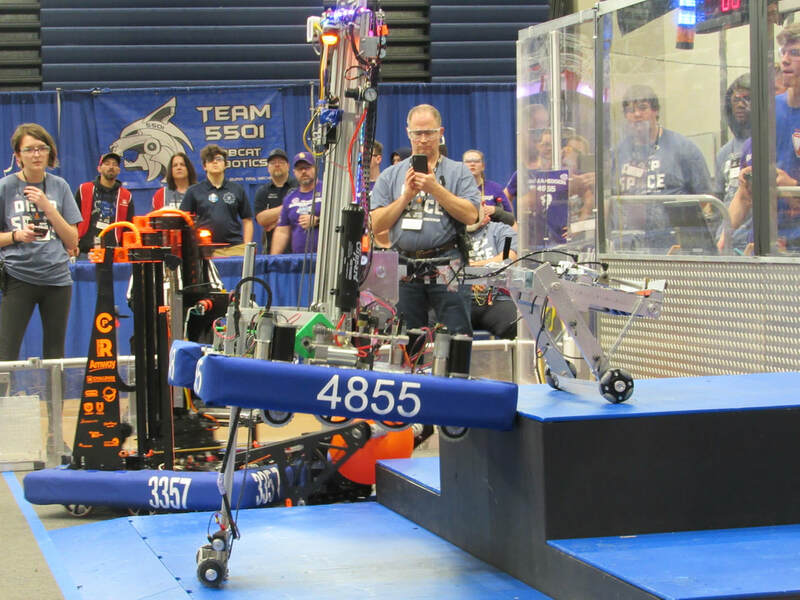 State qualifiers will be finalized after week six competitions conclude April 6th. Stay tuned!